Remembering those who were taken back to heaven in the recent earthquake in Christchurch, may you all rest in peace. 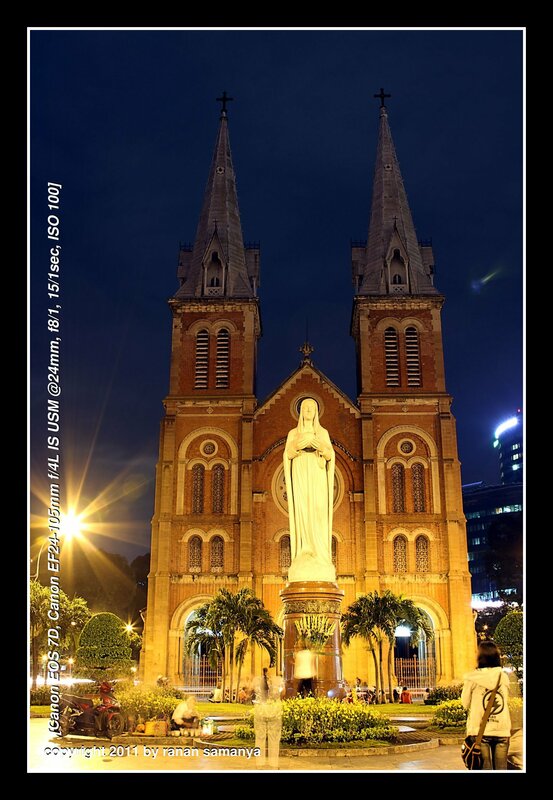 Below is Ho Chi Minh City (Saigon) Cathedral. 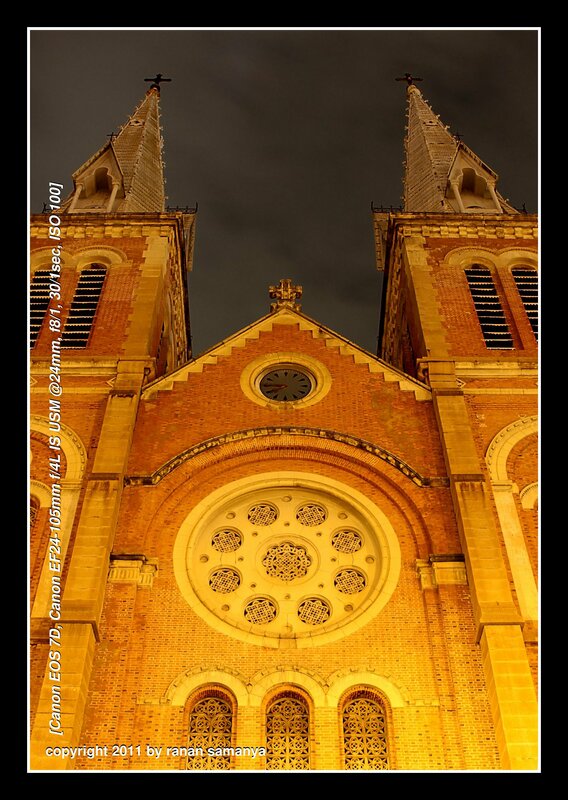 Built by the French between 1877 and 1880, all materials for this cathedral were imported from France. Le Place Pigneau de Behaine, the square in front of the cathedral, holds a statue of the Virgin Mary. This white granite statue was erected in 1959 and has the title Regina Pacis (Queen of Peace).